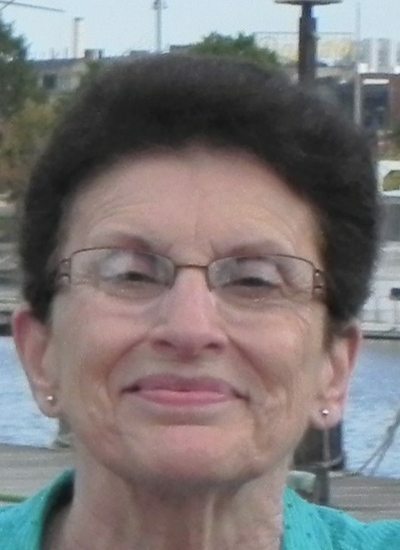 Deanna L. Reed, 71, of Lewistown, passed away at 6:38 p.m., Saturday, Dec. 16, 2017, at Geisinger Medical Center, Danville. Born Dec. 8, 1946, in Lewistown, she was a daughter of the late Helen B. (Stewart) and Alfred J. Mitchell. She is survived by: her husband, Dennis E. Reed, whom she married Aug. 14, 1965; sons, Dennis Gregg Reed and wife, Sher’ree, of Ohio, and Derk A. Reed and wife, Deanna, of Danville; brother, Harold J. Mitchell and wife, Pat, of Illinois; sister, Holly A. Wray and husband, John, of Pittsburgh; grandchildren, Heather Huelseman and husband, Ben, Chad Reed, Darbee Reed, and Mitchell Reed; great-grandchild, Caitlynn Huelseman; and three nephews. She was a graduate of Kishacoquillas High School, Class of 1964. Deanna worked in the Trust Department, as an administrator, at the Russell/Omega/First National Bank, retiring April 15, 2009, after 35 ¢ years of service. She was a member of St. John’s Evangelical Lutheran Church, Lewistown. Deanna enjoyed spending time with her family, but especially treasured the times spent with her grandchildren and great-granddaughter Caitlynn. Family trips to Gatlinburg, Tenn., Ocean City, Md., Baltimore, Md., Inner Harbor, Myrtle Beach, S.C., Punta Cana, Dominican Republic, Hawaii and a Carnival Cruise to the Caribbean, will be fondly remembered by all. Deanna loved to attend her children and grandchildren’s sporting events. She was an avid sports fan who enjoyed Penn State and Pittsburgh Steelers football games and was a lifelong dedicated Pirates fan! She served as scorekeeper for Yeagertown Babe Ruth baseball for 14 years. She remained active with her high school class luncheons. Deanna touched many lives in a positive way and will truly be missed by all. She was surrounded by family at the time of her passing. A viewing will be held from 6 to 8 p.m., Thursday, Dec. 21, 2017, at Heller-Hoenstine Funeral Home, 108 First Ave., Burnham. A funeral service will be held at 11 a.m., Friday, Dec. 22, 2017, at the funeral home, with Rev. Jerri Carlin officiating. Interment will take place in Woodlawn Cemetery in Milroy.